Jan 2015 SPLOT's now in the Cloud thanks to Amazon Web Services! April 2012 Congratulations to Arnaud Hubaux who successfully defended his PhD thesis a few months ago. Arnaud was a fantastic research partner! Feb 2012 We are very excited with reports from renowned universities who have adopted SPLOT as a teaching tool on Software Product Lines. Nov 2011 Thanks to Mauricio Alferez SPLOT's SXFM spec has been translated to EMF Ecore. Download it here (bottom of the page). Sept 2011 Our research partners from FUNDP, Belgium, have recently updated the Feature Configuration Workflow tool! May 2011 Happy 2nd anniversary SPLOT! Numbers for 2nd year: 5,016 visits (+66%) - 1,668 unique visitors (+91%) - 75 countries. Mar 2011 SPLOT's feature model repository now has more than 100 entries. 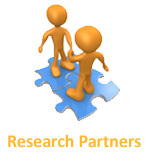 Dec 2010 New really cool online tools provided by SPLOT's Research Partners. Try out the Feature Configuration Workflow! Nov 2010 S.P.L.A.R., S.P.L.O.T. 's feature model reasoning library, goes Open Source too! July 2010 S.P.L.O.T. goes Open Source! May 2010 Happy First Anniversary S.P.L.O.T. - We Thank YOU for your support! Mar 2010 You can now access Realtime Statistics of SPLOT's feature model repository. Jan 2010 - We're excited that several research papers have mentioned SPLOT at VaMoS 2010. Oct 2009 - SPLOT participated in OOPSLA 2009 in Orlando, USA. Download our flyer, the poster or check out the works in the poster session! Sep 2009 - SPLOT Feature Model Generator available for download! Aug 2009 - SPLOT is at SPLC'09 in San Francisco-USA. Please contact Marcilio Mendonca for details. 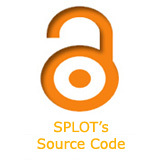 Welcome to the SPLOT project's website. The primary goal of SPLOT is to put Software Product Lines research into practice through the delivery of state-of-the-art online tools targeting academics and practitioners in the field. With SPLOT you can edit, debug, analyze, configure, share and download feature models instantly. We have tested SPLOT on the following Internet browsers (Windows): Safari (4.0.3), Mozilla (3.0.11), Google Chrome (2.0.172) and Microsoft IE (8.0). Safari has proven to be the fastest browser (as claimed by Apple) followed by Google's browser, Mozilla, and MIE. Please, let us know if you encountered any problems using SPLOT on other platforms and/or browsers. We value your feedback a lot! Computer Systems Group / Generative Software Development Lab, University of Waterloo, Canada, 2009-2017.